The European Commission is determined to step up the fight against online piracy and counterfeiting. To achieve this, it will support voluntary agreements to cut off revenue to piracy sites, while also exploring new blockchain-based anti-piracy technologies. In addition, the Commission provides detailed guidance on how current legislation should be interpreted. 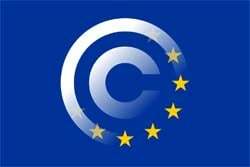 The European Commission has had copyright issues at the top of its agenda for a while, resulting in several controversial proposals. This week it presented a series of new measures to ensure that copyright holders are well protected, targeting both online piracy and counterfeit goods. “Today we boost our collective ability to catch the ‘big fish’ behind fake goods and pirated content which harm our companies and our jobs – as well as our health and safety in areas such as medicines or toys,” Commissioner Elżbieta Bieńkowska announced. The Commission notes that it’s stepping up the fight against counterfeiting and piracy. However, many of the proposals are not entirely new for those who follow anti-piracy issues around the globe. One of the main goals is to focus on the people who facilitate copyright infringement, such as pirate site operators, and try to cut their revenue streams. “The Commission seeks to deprive commercial-scale IP infringers of the revenue flows that make their criminal activity lucrative – this is the so-called ‘follow the money’ approach which focuses on the ‘big fish’ rather than individuals,” they write. Instead of using legislation to reach this goal, the Commission prefers to continue its support for voluntary agreements between copyright holders and third-party services. This includes deals with advertising and payment services to cut their ties with pirate sites. “Such agreements can lead to faster action against counterfeiting and piracy than court actions,” the Commission writes. Another tool to fight piracy appears on the agenda for the first time. The European Commission notes that it will also support the quest for new anti-piracy initiatives, including the use of blockchain technology. “Supporting industry-led initiatives to combat IP infringements, including work on Memoranda of Understanding and exploring the potential of new technologies such as blockchain to combat IP infringements in supply chains,” the suggestion reads. No concrete examples were given but earlier this week, European Parliament member Brando Benifei wrote an article on the issue in Euractiv. Benifei mentions that blockchain technology can help independent artists collect royalty payments without the need for middlemen. In a similar vein, blockchains can also be used to track the unauthorized distribution of works. In addition to broadening the anti-piracy horizon, the European Commission also released a new guidance on how the current IPR Enforcement Directive (IPRED) should be interpreted, taking into account various recent developments, including landmark EU Court of Justice rulings. The guidance explains how and when it’s appropriate to issue website blocking orders, for example. In general, blocking injunctions are warranted when they are proportional and aimed at preventing concrete infringements. This appears to run counter to the mandatory piracy filters that were suggested as part of the copyright reform proposal. However, the Commission notes that in some specific cases, hosting providers (e.g. YouTube) can be ordered to monitor uploads. This is in line with a recent communication which recommended that online services should implement measures to automatically detect and remove suspected illegal content. While the new plans continue down the path of stronger copyright protections, not all rightsholders are happy. IFPI is glad that the main problems are highlighted, but would have liked to have seen more concrete plans. “We are disappointed that despite the European Commission recognizing the need to modernize IPRED and years of evidence gathering, today’s result is merely guidance to EU Member State governments. Soft law does not give right holders the tools they need to take effective action against pirate services,” IFPI writes. On the other side of the divide, opposition to the previously announced EU copyright reform plans continues as well. Earlier today a group of over 80 organizations urged EU member states to speak out against several controversial copyright proposals, including the upload filter. “The signatories warn the Member states that the discussion around the Copyright Directive are on the verge of causing irreparable damage to our fundamental rights and freedoms, our economy and competitiveness, our education and research, our innovation and competition, our creativity and our culture,” they say.